Those who are interested in the physical version of Final Fantasy X / X-2 HD Remaster may want to keep something in mind. Over on the European Square Enix store, the second game is listed as a separate download. 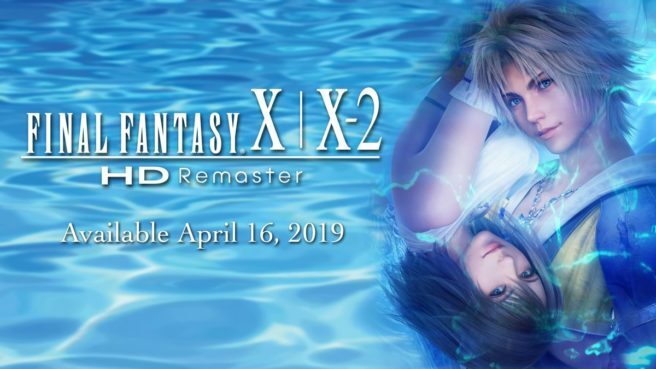 The page states that Final Fantasy X HD Remaster is “available on game card” while Final Fantasy X-2 HD Remaster “is download only.” It sounds like the package will include a voucher to obtain the second title digitally. Square Enix actually did something similar for the PS Vita version of Final Fantasy X / X-2 HD Remaster. The first game was playable on the cartridge, but X-2 required a separate download. Note, however, that official plans for the Switch release have not been officially announced, so there’s a small possibility that what’s mentioned on the store is inaccurate. We’ll try to get an official comment from Square Enix about the situation. Thanks to Nicolaus C for the tip.